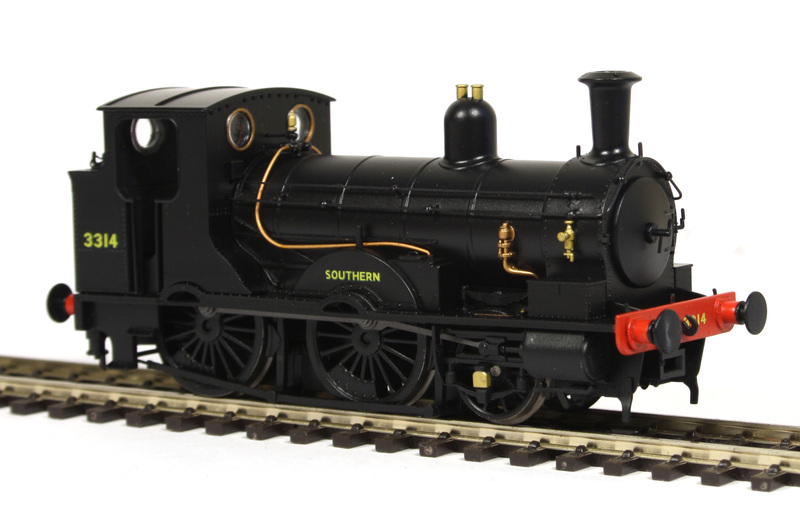 Following on from the success of the first four versions of the Beattie Well Tank, Kernow Model Rail Centre has today announced the release of 3314 in Bulleid ‘Sunshine’ livery. 3314 carried this livery between November 1942 and November 1949 when she was renumbered 30585 and gained British Railways early emblem livery. “We are pleased to announce that a fifth Beattie Well Tank has been produced and is currently on board a ship from China due to arrive in the UK at the end of February. 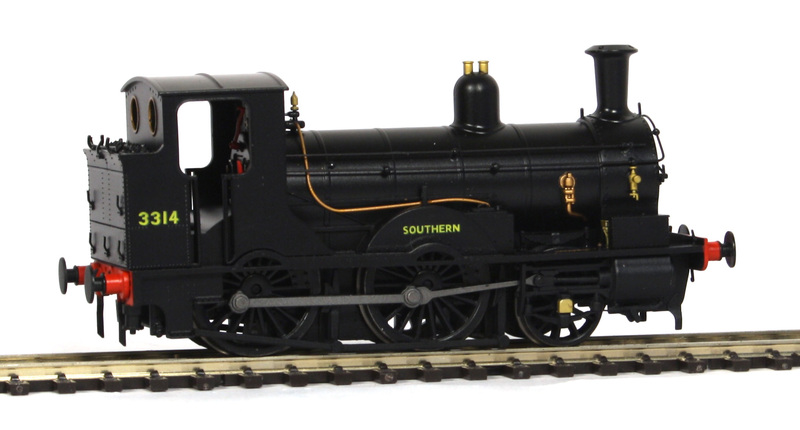 Item reference K2055, this will be number 3314 in Southern Black livery with Bulleid Sunshine lettering and will be priced at £94.99 plus postage. 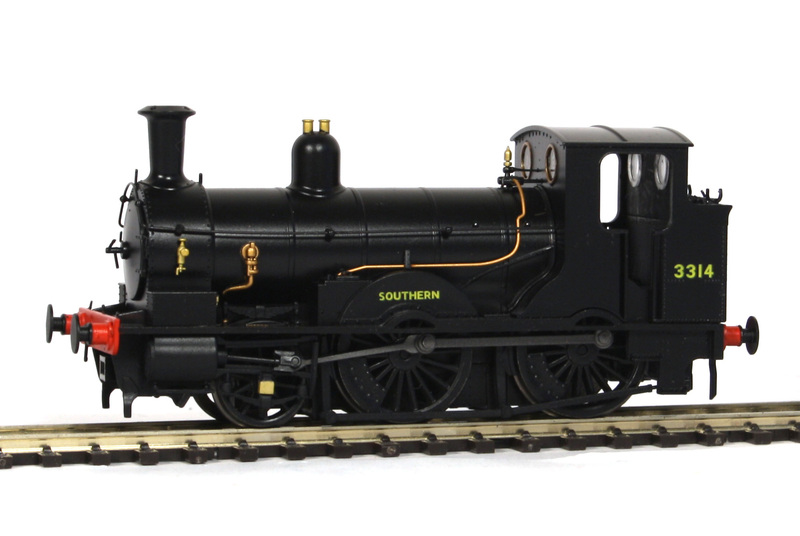 This model is limited to just 500 pieces and as the previous Southern model sold out very quickly we anticipate demand for this model will be very strong. 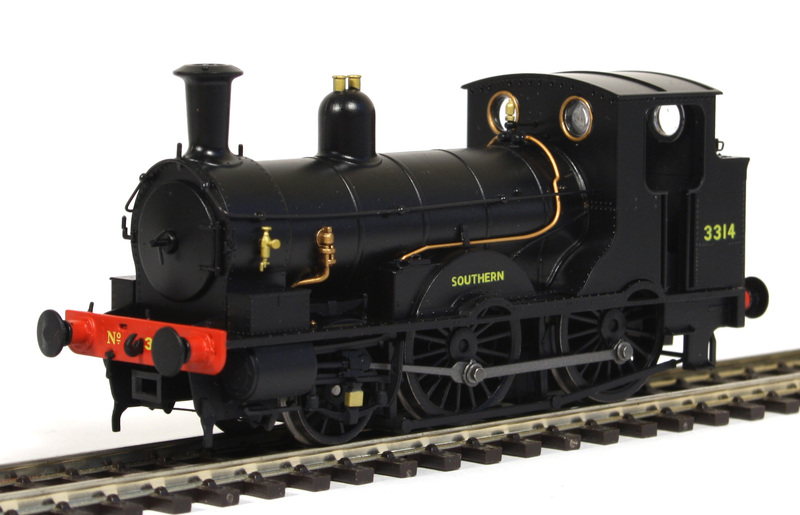 As with the previously released versions the model comes fitted with 6 Pin DCC Decoder socket (conveniently located behind the removable smoke box door, should a DCC decoder be required to be fitted) and an accessory bag containing etched fire irons, coupings, vacuum pipes and SR Route Discs. Ordered mine yesterday as i missed it first time around, by the the way , i cycle the Camel trail annually. Will talk to you at Doncaster, keep the pressure on the manufacturers as we may one day see an original MN. Kind Regards Alan ” Nortiboy” Johnson. Will be good to meet you at Doncaster, Fisherton Sarum is stand 11. With respect to a RTR Original style MN I selfishly hope not as I have built a few for myself and still have a number on the workbench! Fair comment, likewise with my own Millholme MNs !